Working at home offers new and creative job opportunities ranging from medical writing to image reviewing. When you think of a work at home job, what comes to mind? Telemarketing? Writing? Sure, some jobs easily lend themselves to being a full-time telecommuting position, but virtually any job can be done from a home office. Here’s a look at some five familiar (and five unfamiliar) types of telecommuting careers. Writing is generally an independent task, and can be done anywhere there’s a computer. Some popular work-at-home writing jobs include Web Content Writer, Freelance Journalist, Technical Writer, Marketing Copy Editor, and Medical Writer. Editing & Proofreading jobs are also often done on a computer, and therefore can be done remotely. Some common work-at-home editing jobs include Research Editor, Copy Editor, Proofreader, and Resume Editor. Computer & IT positions are a perfect fit for flex schedules. Whether you’re a Systems Analyst, IT Technician, or even an Infrastructure Solutions Architect, all of these can be done from the comfort of your home office. Online Marketing is a great and growing career area, and since it’s primarily internet-based, there are some great work-at-home online marketing jobs, such as a Web Search Evaluator, Online Moderator, Social Media & Marketing Coordinator , Paid Search Specialist, and SEO Account Manager, and Online Sales Account Executive. Administrative tasks and roles can often be done by phone, email, and over the Internet. 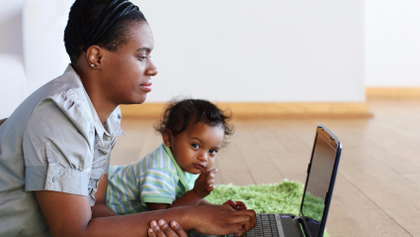 Some examples of work-at-home administrative jobs include Enrollment Specialist, Administrative Coordinator, Typist, Telephonic Interviewer, and Operations Assistant. From there, here are some interesting and – and maybe surprising – work-at-home jobs. If you’re creative – Design your way to a new career as a Graphic Designer (Sonnentag Design), Image Reviewer (Shutterstock), Visual Display Associate (JoS. A. Bank), Development Director (Choral Arts Philadelphia), Art Teacher (K-12), or Production Artist (Curriculum Associates). If you’re bilingual –If your Spanish is muy bueno, you might be interested in positions such as Bilingual Customer Care Specialist (Xerox is hiring, for example), a Bilingual Account Executive (First Data), Sales Representatives (Enterprise Contact Center, for car rental services Alamo, Enterprise, and National), At-Home Technology Advisors (Apple), and Content Translator (Airbnb is hiring). If you love education – You can flex your teaching muscles as an Online Math Tutor (Tutor.com), a Project Manager (Pearson Education), a School Counselor (Connections Academy), or even as an Admissions Representative (Grand Canyon University). If you’re philanthropic – If being charitable rings true for you, you can help make the world a better place by working as a Membership Associate (Girl Scouts), School Fundraising Director (American Heart Association), or as an Event & Outreach Coordinator (American Foundation for Suicide Prevention). If you like sports –You can get physical by working as a Physical Education Virtual Teacher (EdisonLearning), Race Director (Tough Mudder), Regional Sales Manager, Soccer (Bauer Performance Sports), Account Executive for Wellness Industry (Vapor Massage), Sports Copy Editor (Narrative Science), or Program Associate (Massachusetts Bicycle Coalition). Today, virtually every industry is offering some sort of telecommuting positions. So keep searching for a fit that works for your interests, your skills and your life.